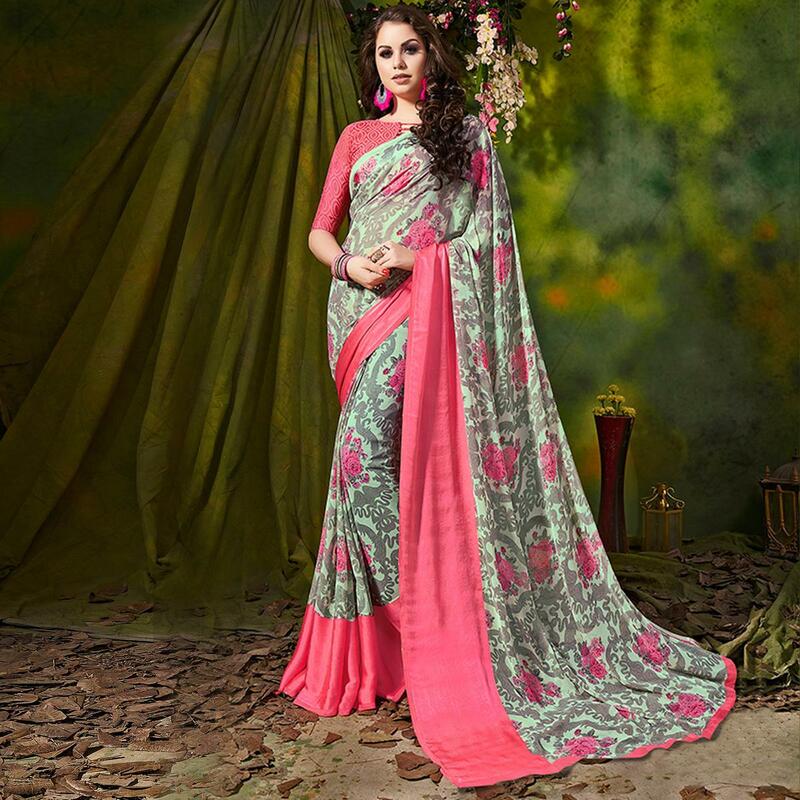 Grab this lovely floral print design and contrast color solid lace border saree to your wardrobe for your daily wear. 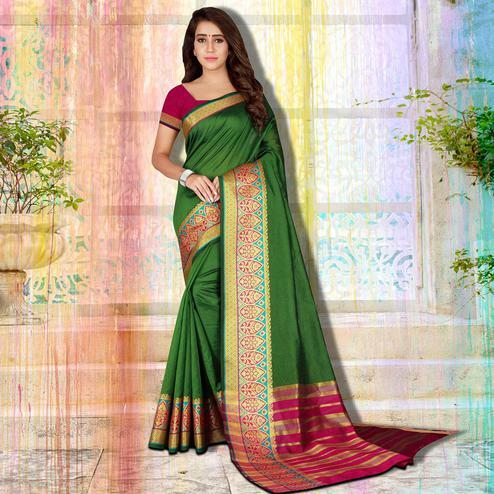 This green color saree is fabricated on georgette which is durable and easy to care for. Available with matching fabric printed blouse piece. Suitable for casual outing and kitty party.